The wedding is a day from a deep symbolic meaning: two lives are joined into one, to create a new life. You only have to close your eyes and tell the dream of your wedding and we will realize it. International experience, and deep knowledge of the local traditions. 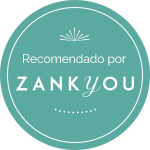 Your wedding in a mystical cenote, or on a white Caribbean beach, in a villa by the sea or in a colonial hacienda in the Riviera Maya. If you want to celebrate your wedding on the Riviera Maya, you can choose between different types of ceremonies. Alba Weddings Design can arrange religious weddings, civil weddings or even beautiful Mayan weddings. And for your silver or gold anniversary, or just to renew your vows, we can organize symbolic ceremonies. Discover all kinds of ceremonies to start having ideas to how organize your marriage in the Riviera Maya. You are organizing your wedding on the Riviera Maya and do not know where to place the ceremony. Leave it to the experts. For every type of ceremony exist a perfect location. 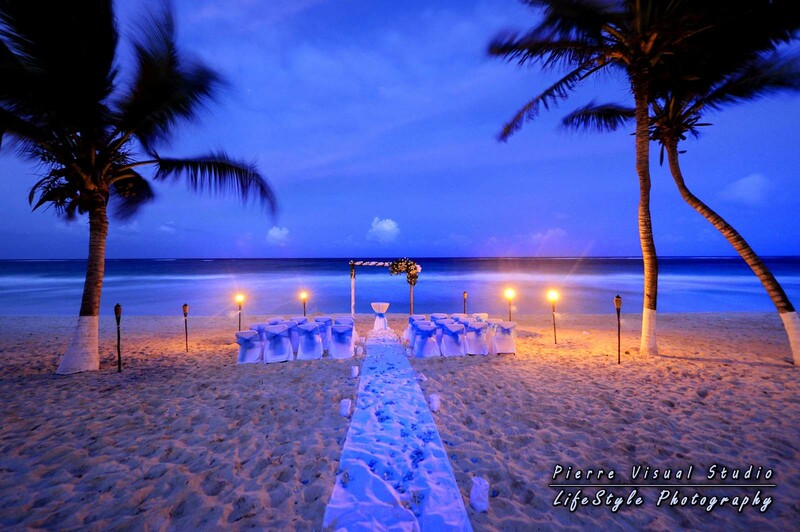 Alba Weddings Design can offer them a variety of places for your wedding on the Riviera Maya. 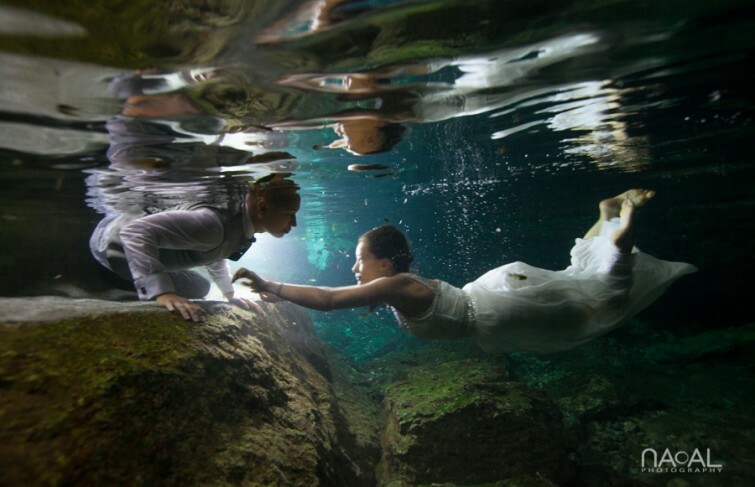 Do you want to celebrate your wedding in a cenote? 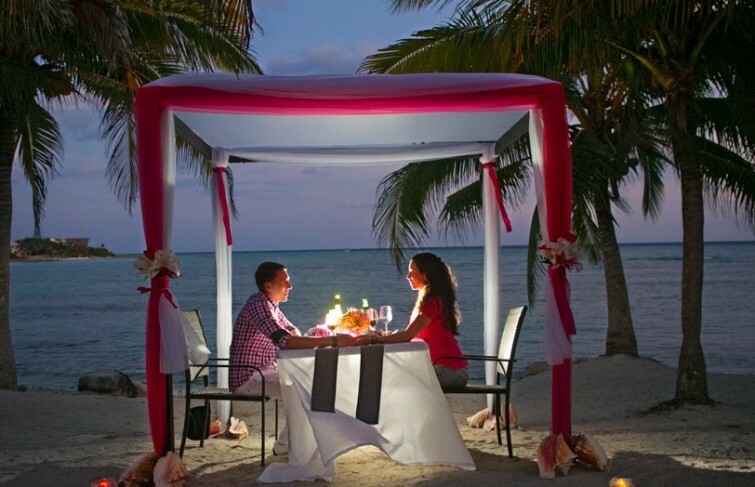 Or do you want a ceremony on a Caribbean beach? 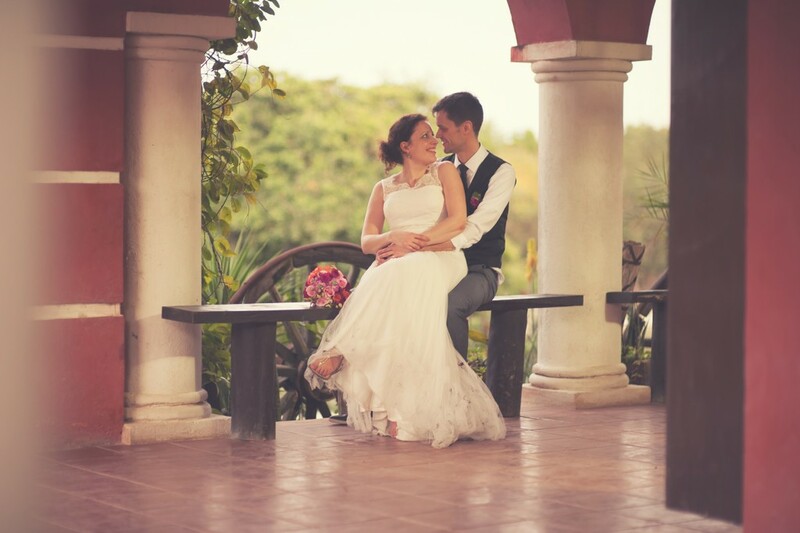 Or you’ve always dreamed of your wedding in a colonial hacienda? Find out more, discover all the places that we offer for your wedding in Playa del Carmen or Riviera Maya. In Alba Weddings Design we love to consent the future married, and get them to their wedding day as relaxed as possible. Therefore we take care of everything. You only tell us your tastes and your dreams and we make it reality. Documentation for the wedding, flowers, catering, music, bouquet, the maquillage etc. we really think of everything. Trash the Dress in Riviera Maya. Do you dare to trash your bridal dress? Why not? Do you think to use it again? I don’t think so. Trash the dress with the best photographers in the Riviera Maya. 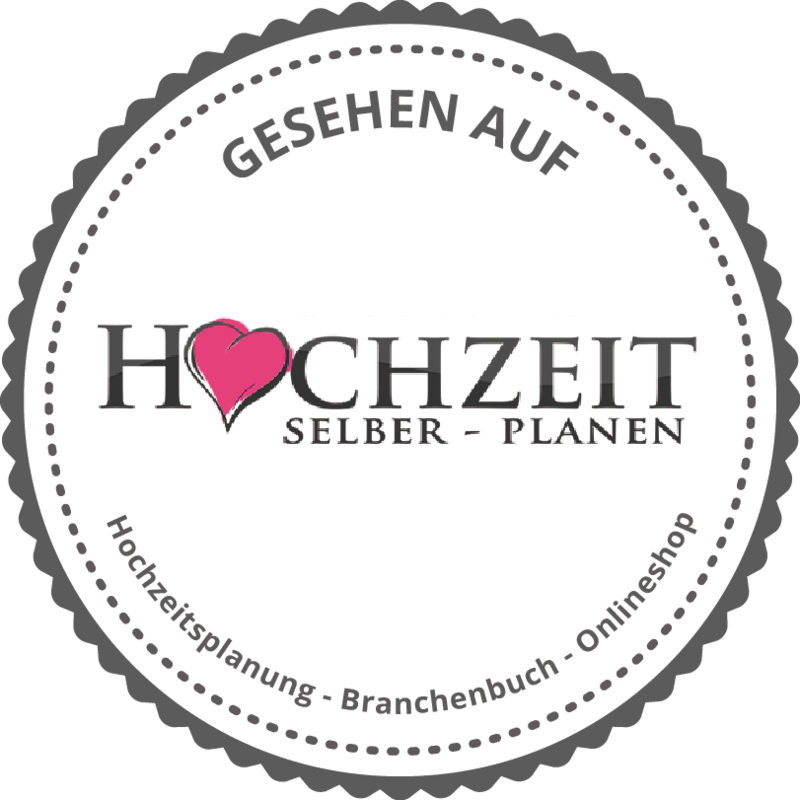 Bring home with you, an unforgettable photo session, swimming and diving with your wedding dresses. Alba Weddings Design is more than a simple wedding planner. We organize your marriage proposal, your bachelor party, your tours, we have lodging solutions for you and your guests and all you would like to have for your wedding in Riviera Maya.